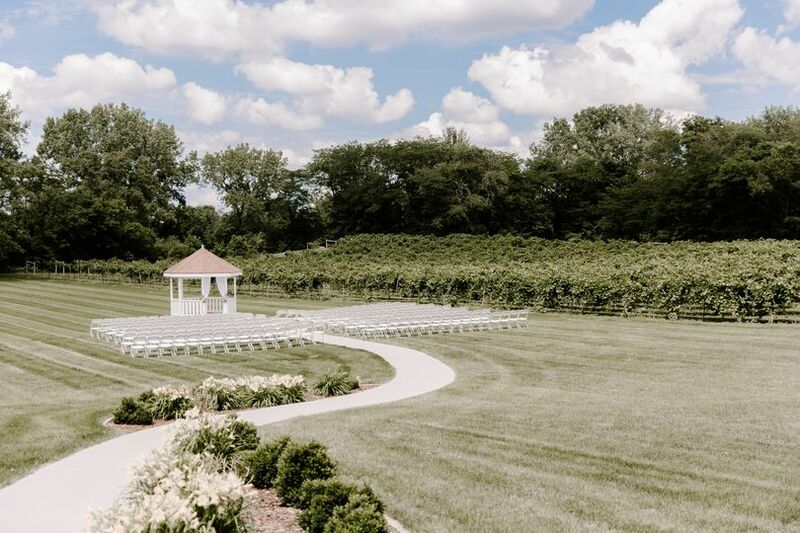 Enjoy the stunningly beautiful backdrop of the White Oak Vineyard when you celebrate your wedding day at The Chateau in Cambridge, Iowa. 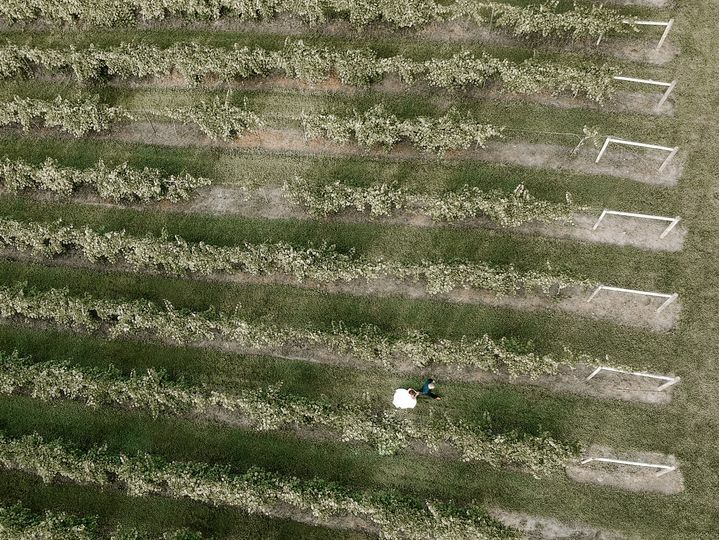 This venue is nestled among the quiet and relaxing vines, providing an ideal spot for an elegant and private ceremony and reception. 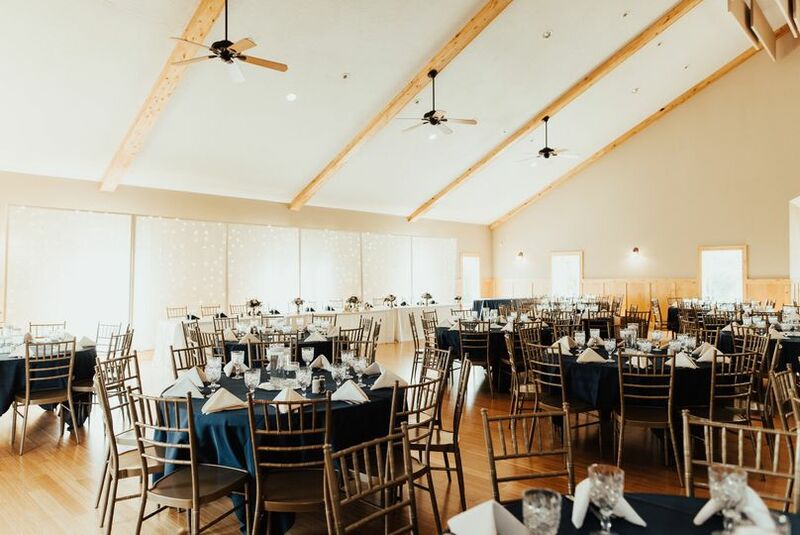 Whether indoor or outdoor, The Chateau has something for everyone, with an open floor plan that can host small or large parties, as well as a natural setting with breathtaking views. 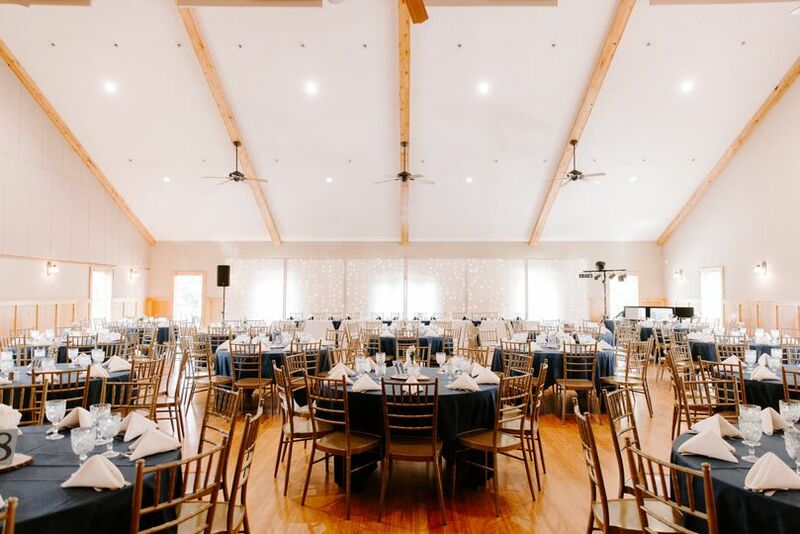 Allow the event professionals at this venue to help you create memories you’ll never forget. 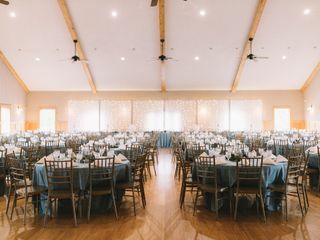 This venue can accommodate up to 300 guests in two beautifully unique spaces. 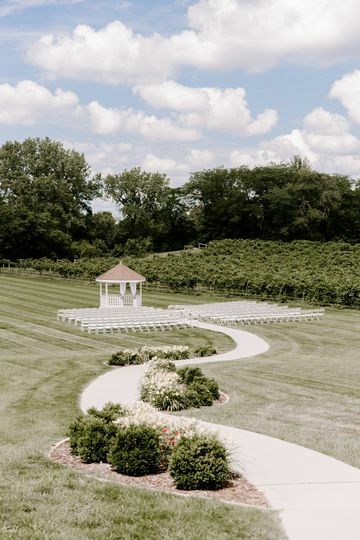 Enjoy scenic views when you host your ceremony on the lawn at The Chateau. 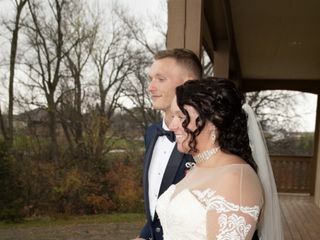 The beautifully restored gazebo and natural vine setting serves as the backdrop, and a paved aisle makes for a smooth and elegant entrance that you and your guests will remember forever. 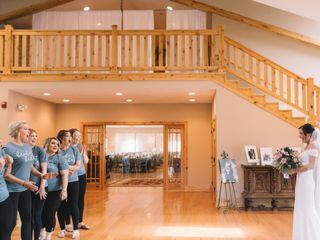 For an indoor ceremony or reception, the 6,700-square-foot facility boasts vaulted ceilings and hardwood floors as well as plenty of windows for natural lighting. Celebrate your wedding in this remarkable space that offers all-inclusive packages to make your day absolutely seamless. 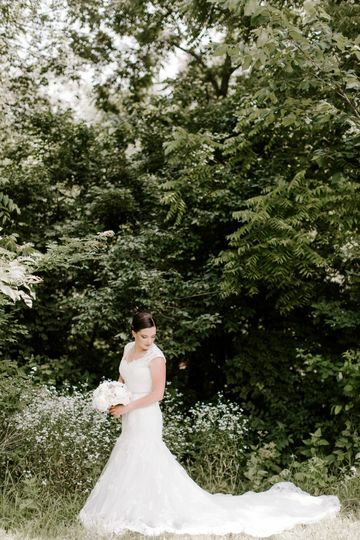 An on-site bridal suite means that you don’t have to stress about where to get ready before taking the trip down the aisle, and their event planners will assist you in putting together a day that’s as unique and beautiful as your love story. 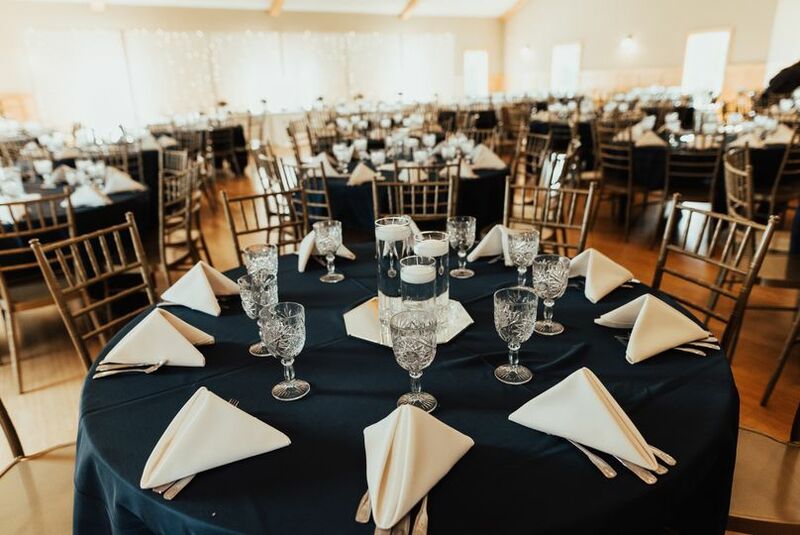 From setup and on-site event items such as chairs, tables, and more than 60 linen options, to dinner and clean up, the staff at this venue is ready to help you make your day easy and stress-free. The Chateau has a gorgeous all-wood bar, fully stocked so you can mix and match what you’d like to serve your guests. 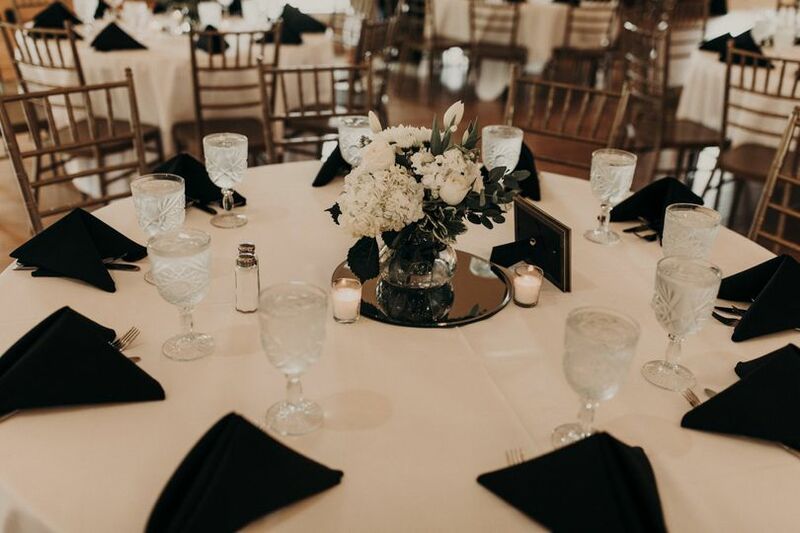 The in-house catering team will work with you to create hearty, home-cooked meal options that satisfy all of your loved ones. The girls at the Chateau (Kenzie and Jenna) are so wonderful. 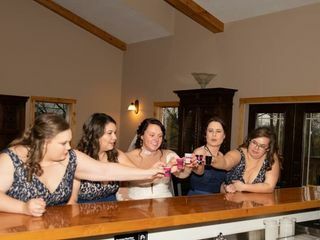 They made me feel like I was planning my big day with my best friend's. They answered every question I had and gave me so much advice and input along the way. They were honest in every opinion they had and I couldn't have appreciated that more. My parent's absolutely adored the both of them as well, which spoke volumes to me. 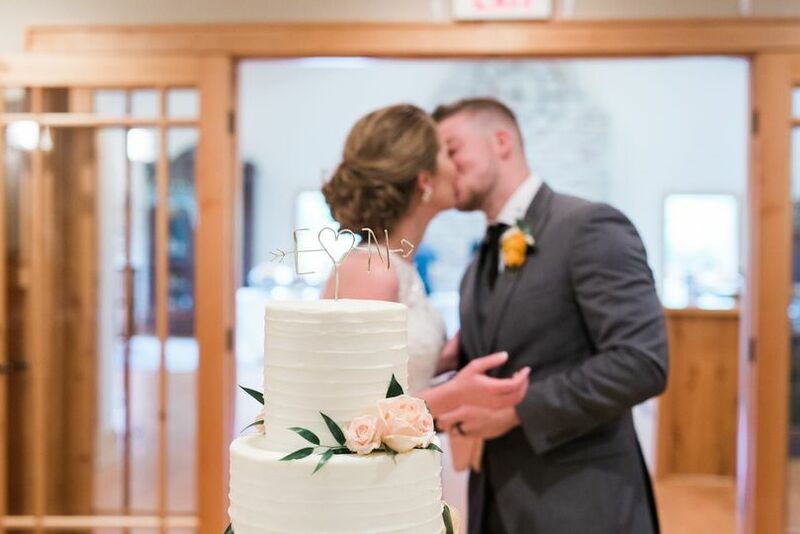 The Chateau is the perfect place for your big day as it is beautiful. The girls and staff at the Chateau know what they're doing. They made my day so memorable. I would recommend the Chateau over and over again. Thank you Lynsey! We love that our clients think of us as friends, because that is exactly how we feel too! We are so lucky to get to help people plan one of the most memorable days of their lives! 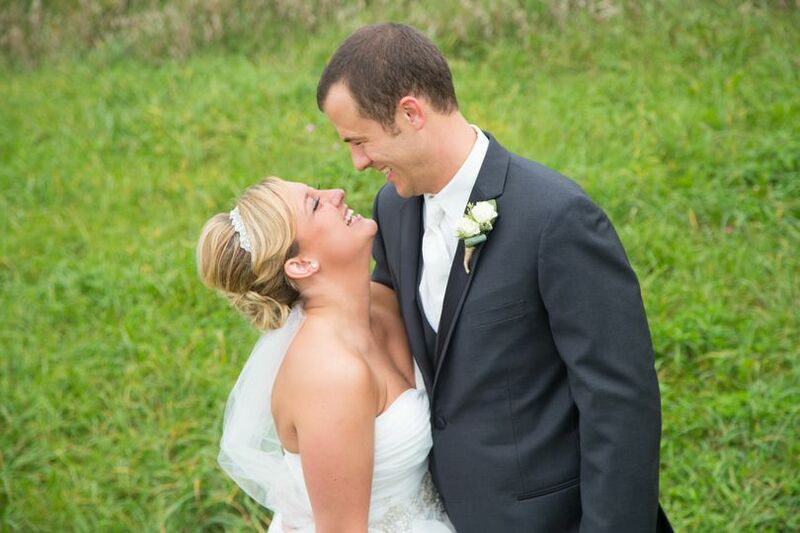 We hope that your wedding was everything you dreamed of and married life is treating you well! Cheers! XOXO! These guys are amazing to work with and make planning a wedding a breeze! 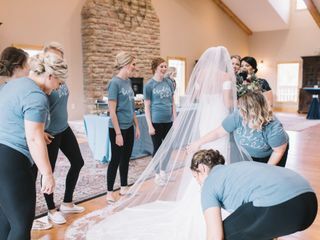 They do everything they can to help make things easy for the bride and the entire family! The girls at The Chateau were SO great to work with! The space is beautiful inside and out, the food was delicious, and Jenna and Kenzie were there every step of the way. 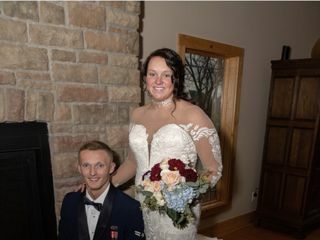 They were quick to respond to all our questions, and truly helped make our wedding day perfect! WOW! 5 STARS 1) AMAZING VENUE As a photographer I get to see a lot of venues. 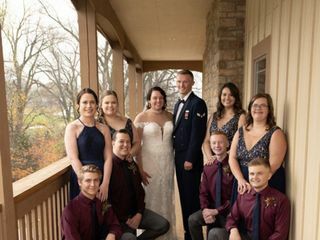 This location has a beautiful ceremony location outdoors, reception area, wine bar, and a couple great spots for the bridesmaids and groomsman to get ready. If you are looking for a venue to meet your needs, I have no doubt that his is one of if not thee best venue in the area. 2) GREAT PEOPLE AND QUALITY SERVICE When I was there the people serving both the consumer and it&apos;s other service workers were fantastic, welcoming, and there when I needed them. I would highly recommend using any an all services and products from the Chateau!